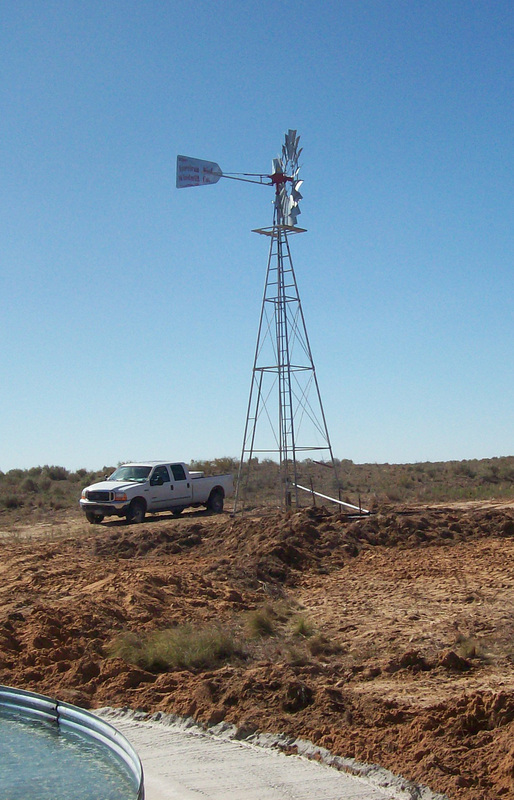 Amarillo Water Well is a water well drilling and service company. If you need a new well drilled or just need an existing well serviced, we can help! We have the equipment and personnel to provide you with the best service available. Amarillo Water Well provides turnkey water well services for the entire Northern Texas Panhandle, Western Oklahoma, the Oklahoma Panhandle, and Eastern New Mexico. We are licensed and fully insured. Being raised on a ranch in Matador, TX, my youth was spent riding, roping and doing all that is required to keep a ranch running. Working alongside my dad and grandfathers instilled a work ethic in me that has helped me on each venture that I have had the opportunity to pursue. As a rancher’s kid, you don’t grow up with much money, so you learn to value what you have and be sure you make the most out of what you have. These skills have served me well for all of my adult life and I’m very thankful for the opportunities they have afforded me. In addition to ranching and farming, I have been in the water industry for over 20 years. The first seventeen years, I operated my own company in the Matador, TX area. I built a successful business that specialized in windmills, house wells, solar wells, and irrigation wells. In addition to numerous individual ranchers, farmers, and house well customers, I took care of five major ranches that included the Matador Ranch, Spade Ranch, Triangle Ranch, Campbell Ranch, and Cogdell Ranch. Over time, I was able to greatly improve water production as well as lower their cost of production and improve the bottom line. While running my own business was a great challenge, it also came with great reward. After selling the water well business, I went to work for a wholesale distributor. I spent three years in this aspect of the water industry. My areas of experience include sizing systems, quoting installations, and troubleshooting while providing contractors with on-the-job help. I also became very familiar with different controls and the options available. I excelled at putting systems together in the most efficient configurations possible. Since the position included travel, I made a decision to change my focus. Because my priorities include time with my family and raising my 3 sons with the same work ethic I was privileged to learn, I decided to make a career move back into being a contractor. It is an opportunity that I am very excited about. I am looking so forward to the challenge of building a business from the ground up while also keeping my priorities of God and family. I have been married to Ashley since 1999 and we have 3 sons who attend Canyon ISD. I have always had a heart for the consumer. My top priorities as a contractor are for my customers to get the best product and service available at a fair price.